"After having our house built to our great satisfaction by Brad, we discovered that we needed one more piece of furniture to round out our great room. 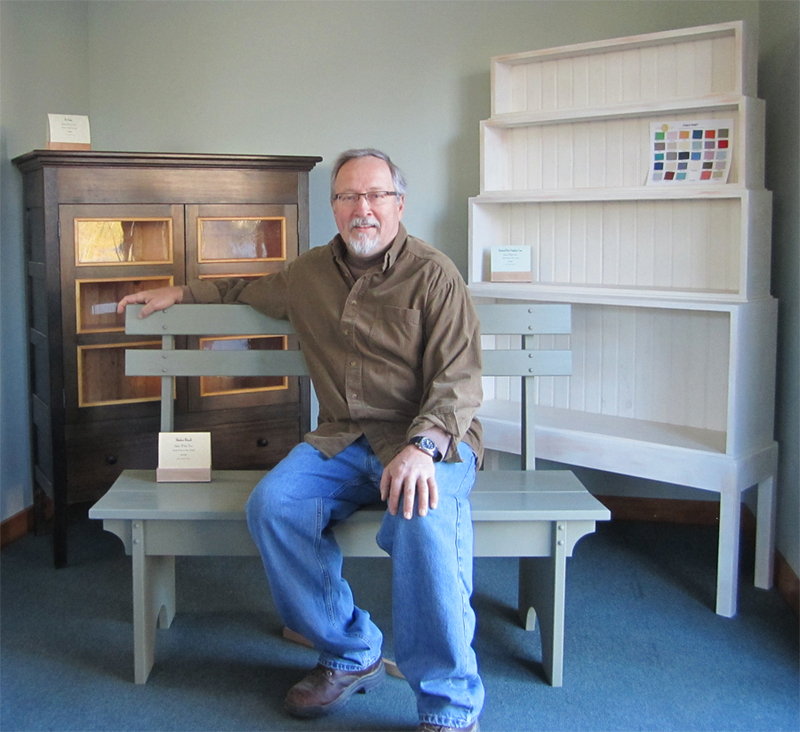 Brad designed and built the perfect cabinet that fits well with all our furniture, both modern and antique"
"I feel very fortunate that I found Brad, he is truly a gifted craftsman that can take your vision of what you want and deliver. Brad came highly recommended to me by several people for being an exceptional craftsman. When I met him, I shared several pictures of a table and bench that I wanted. He suggested a few key enhancements that made it perfect. The table is simply stunning and the accompanying bench is so comfortable to sit on. I was so pleased I had him build another custom piece for my kitchen which I just love. Brad knew I wanted something contemporary that popped visually, while being a functional work station as well. I gave him all the specs and he again made suggestions to make it better. It turned out just beautiful!" "Brad's knowledge of wood and ability to craft it into exquisite and unique furniture results in masterpieces to be treasured for generations"
Scroll down to contact me with our response form. Or, by email or phone. Feel free to get in touch with your questions, comments and inquiries!